Really would like to try this,my daughter has eczeme...its so hard to find a good quality product, that does as it says. We have tried many products that were for sensitive skin, that do not work for her! Originally bought for my daughter but started using and it is fantastic. My skin feels soft and clean and not even slightly dry. I haven't used this dice I was a kid and I'm sticking with it not that I've revisited it. I love that it's lesscthan half the price of the cleansers that I've been using over the last few years. This is the one face cleaner we always use. Not only do I use it but my kids as well. From pre-teen girl to teenage boy it is sensative for everyone and seems to clean well without drying out the skin. I have been using Phisoderm for many years and this is the only cleansers that works great for my sensitive face. 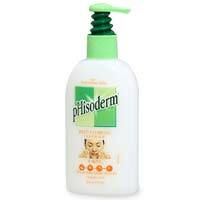 Using Phisoderm products is just a great way to get clean skin. I have skin that still breaks out and using this face wash is great! !